I am sure you know that I am on a quest to try all the dim sum places in Singapore. My latest adventure brings me to Imperial Treasure Nan Bai at Ngee Ann City. I have been wanting to go there for a while, but never had the chance until recently. Judging from the crowd on the weekend, Imperial Treasure Nan Bei seems to be extremely popular, especially with families. Even though I am quite adventurous with food, I like to keep it safe when it comes to dim sum. I will always order the standard items like Har Gau, Siew Mai, as well as my favourite Custard Bun, Char Siew Sou and Egg Tart. That’s exactly what we had at Imperial Treasure Nan Bei. We started with the Char Siew Sou ($3.6), Steamed Rice Roll with Shrimp ($5.5), Steamed Prawn Dumpling ($4.8), Steamed Pork Dumpling ($4.4), and Xiao Long Bao ($4.4). Most of them were not too bad, but definitely not life-changing. I did however, think that the Char Siew Sou, was the best tasting among the five items. The Custard Bun at Imperial Treasure Nan Bei was decent, but in no way comparable to the really good ones that I’ve had before. Without a doubt, the far and away winner for that day was the Baked Egg Tarts ($3). It was just damn good! I’d come back to Imperial Treasure just for this. While everything that arrived at our table was well-executed, they didn’t have the wow factor to make it memorable for me. I wouldn’t mind coming back if my friends want to try, but I wouldn’t suggest it on my own. That said, Imperial Treasure Nan Bei at Ngee Ann City is always full on the weekends, so they must be doing something right. It is impossible to get a table without reservations, so make sure you call well in advance to book a date. After trying Imperial Treasure Noodle and Congee House, and Imperial Treasure Nan Bei, my next stop will be Imperial Treasure Super Peking Duck at Paragon! U should try their roast duck and roast pork! The roast duck is really juicy and tender even is on breast! Agree that their dim sum is rather ho hum. Their best dishes are the ???? 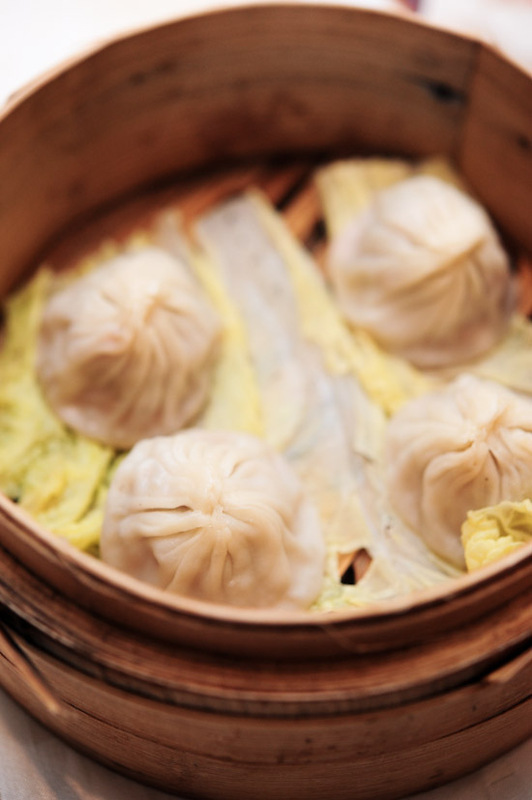 such as xiao long bao?guo tie and ? ?, which are on a separate menu from the regular menu. Actually, I went to the Raffles City Shopping Centre Branch but there was not link to that Branch at HungryGoWhere. Extremely RUDE staff and BAD service. We made a reservation the day before for 12:00 noon and reached the restaurant earlier at 11:30am. We are not unreasonable people and we waited patiently for 30 minutes until 12pm. In this 30 minutes, the restaurant manager entertained several groups of customers that had the same number of people as us. These groups were all with queue numbers and did not make any reservations. We asked if he could serve us first and if we need to get the queue number instead, but he said no because we have a reservation at 12pm. Only after waiting until 12pm and after several groups with queue numbers had gone into the restaurant, did he ask us to go in. I asked him politely for an explanation and his reason was because he wanted to get us a sofa seat. But from my observation, clearly the groups before us with queue numbers were also given sofa seats. To be honest, is this even logical and does this even make sense??? I politely asked the manager if it is ok if i get a queue number and join the queue instead of waiting for the reservation at 12 because it seems to be faster that way but he insisted to keep me waiting. I understand that the F&B environment can be very demanding and stressful but please also kindly attend to the queries of your customers. We are not that demanding. We just hope the people who serve us can have a bit more common sense and handle things logically. I’m deeply disappointed in the services that were provided to me at this particular outlet. After reading the reviews in the other outlets for the Imperial Treasure Group, I’m adamant that such simple service in-competencies did not happpen to only me alone. I’m quite disappointed as I thought the food at Imperial Treasure was good but I don’t think I will patronize your outlets again if this sort of service continues.